Warren Buffett is one of the richest men in the world an incredibly wise man. 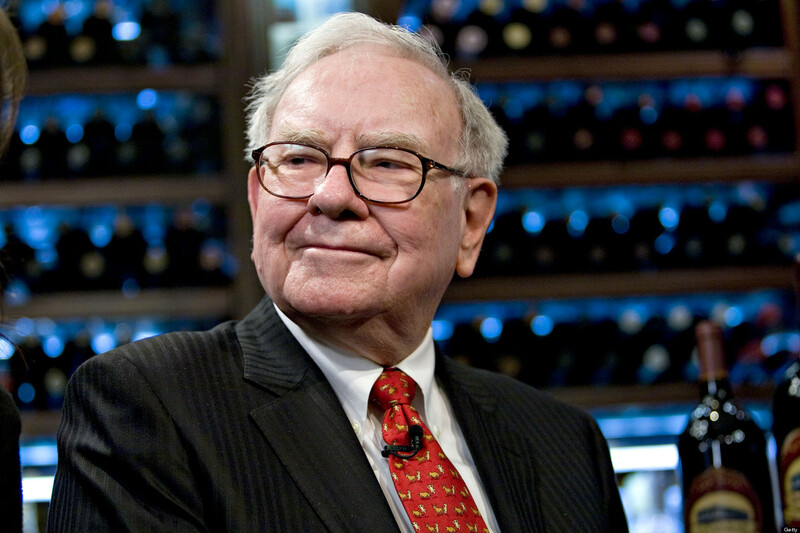 Each Warren Buffett Quote in this list will inspire you to not only become rich but also wise. It is the Wisdom that lead to the richest, not the other way round. So read these ten super inspiring quotes, read their interpretation by me (Anubhav Srivastava) and become wise and successful. Let us begin. This Warren Buffett Quote Implies that If you want to improve then you have to be with people who have the qualities that you want to acquire. Go hang out with them or hang out with people who have traits closest to those people. The more you will be with them, the more you will acquire their qualities and the more you can become like them. This Warren Buffett quote demonstrates his incredible self belief. If you wish to succeed you will have to to have the same kind of self belief because your belief will directly influence your actions. People who believe that something is not possible will never put in the effort to realistically achieve that goal anyway, as a consequence that thing remains impossible for them. On the other hand people who believe that they can do will try over and over and over again because their mind has convinced them that they cannot lose. As a result, they never ever give up and eventually win. We all have been made to believe that complex solutions are much more effective than simple ones, after all if appears complex it would solve a complex problem right? That is not always the case because complex problems are often solved by simple solutions that we often overlook. Most Education Systems, not just business schools, for god knows what reason always want lessons to appear as complex as possible and reward students who follow this kind of behaviour. They give those students high grades and low grades to those who keep things simple. However, as this Warren Buffett Quote implies, in life it those who keep things as simple as possible that will succeed. Honest people are far and few. You cannot expect everyone you come in contact with to be honor all your agreements or disclose everything to you. This Warren Buffett Quote teaches you that you should be cautious and selective when it comes to the people you associate with or become friends with. Don’t expect honesty from everyone you come into contact with unless they have given you good reason to trust them. People who become rich do not just become rich through hard work because if that was the case every super hard working person would be a billionaire. Apart from their hard work and intelligence, help from the society plays a huge role, whether you make them customers or partners or friends. You never become what you become alone. There is no such thing as a self made person. You should be grateful for living in the society that played a huge role in helping you become what you are. This Warren Buffett Quote implies that the best way to show gratitude is to give back to the society in whatever way you reasonably can. It is your moral obligation. Patience is a virtue. You can be as hard working as you want but you have to understand that some things take time to develop. So this Warren Buffett quote teaches you to not get upset if your end goal does not show up immediately However this is not an excuse for complacence, even if you don’t see your end goal immediately you always have to keep your eyes open to track the progress you are making or lack thereof. If the progress is not satisfactory, change course or do the things under your control that will make you come back on track. While this Warren Buffett Quote may appear to be true for “financial Experts” who often predict trends and influence you where to put your money, the same also applies to various Fortune Tellers who claim to know your future. Only God knows the future and he/she sure as hell doesn’t tell it to these fortune tellers or forecasters. If there is anyone after God that can accurately predict your future, it is you. The greatest fortune teller is your own attitude towards life. This Warren Buffett Quote teaches you to choose your role models or heroes wisely. The kind of people you look up to will determine to a great extent the kind of person you will eventually become. If you look up to great philanthropists you will adopt a philanthropic way even if it is on a smaller scale. If you look up to people who were basically hedonists and ruined their lives, guess what unless you change you will ruin yours to. If you wish to become productive, look up to productive people. If you look up to destructive people, you will become destructive and the biggest destruction you will do is to your own life.